After losing a lot of weight, it's not uncommon for people to experience issues with stretchmarks and loose skin. This is normal, and part of the nature of skin laxity. While the skin won't shrink back fully around your thinner frame, there are plenty of body contouring surgeries than can address these issues. The team at our Tijuana cosmetic surgery center is pleased to offer various skin tightening and body sculpting procedures, including tummy tuck surgery (abdominoplasty). For people who've experienced extreme weight loss, an extended tummy tuck may prove more ideal for their needs. An extended tummy tuck refers to a variation on the traditional tummy tuck procedure. The extended tummy tuck is able to address more drooping, sagging, and loose skin that comes as a result of major weight loss. The surgery involves a more extensive incision than the traditional tummy tuck, and will require some additional consideration and care when it comes to post-operative healing. Good candidates for extended tummy tuck surgery are people who have experienced major weight loss and have more loose skin than a traditional tummy tuck can remove. 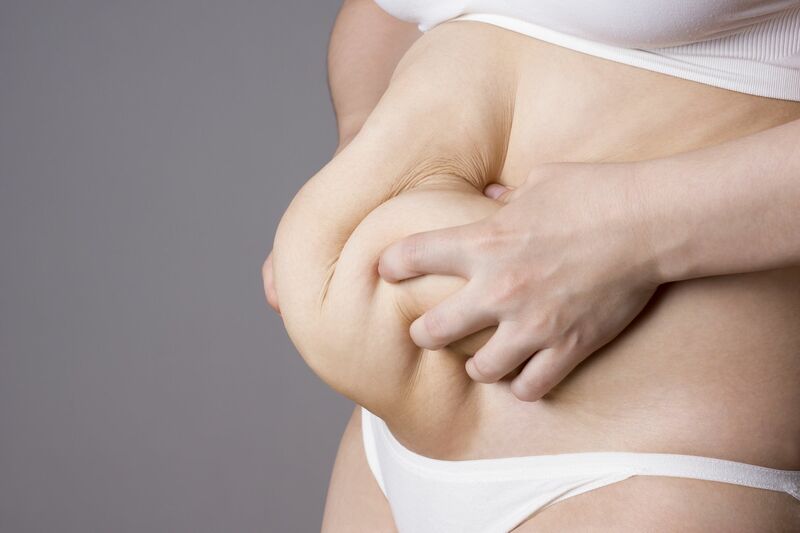 This loose skin is usually centered around the lower abdominal area, the flanks and love handles, and the hips. Candidates should be in otherwise good general health and not suffer from any conditions that would make this body contouring procedure a potential risk to overall wellness. During the consultation process, we can determine if an extended tummy tuck or another body lift procedure may be most ideal for you and your needs. Working through these anchor-shaped incisions, a surgeon can remove excess skin and tissue, adjust the underlying structures of the abdominal area, and improve overall body contour. This eliminated the loose and sagging skin, and allows patients to experienced a better figure in the process. Recovery from an extended tummy tuck takes time given the nature of the procedure. Most patients will want to take at least three to four weeks off from work. They will need to get ample rest and slowly ease back into normal physical activities and job duties. During the consultation process, we can provide detailed post-op instructions for tummy tuck patients. The scarring after tummy tuck surgery is extensive and will be most noticeable and pronounced in the early weeks and months after surgery. Over time, these scars should fade, and while they will be present, they ought to become less noticeable. Thankfully, extended tummy tuck scars are generally well hidden by most bathing suits. To learn more about extended tummy tuck surgery and whether or not it's an ideal option for you and your needs, be sure to contact our cosmetic plastic surgery center today. Our team looks forward to your visit and discussing your treatment options in greater detail.